Submit your "Most Confident Smile Photo" on FB Apps. Must feature the most confident smile of you and at least one of your family members and/or friends. 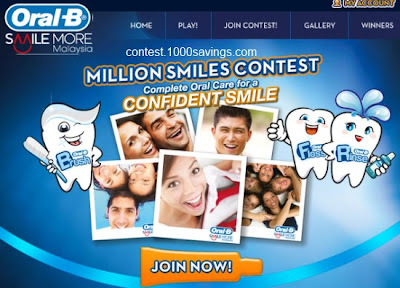 Photo Entries will be moderated before they are placed on the Oral-B Million Smiles Facebook Contest's gallery page. Visit Oral-B Facebook fan page for more details.